Mehiläinen Sports Clinic´s Professor Sakari Orava is one of the most famous sports medicine surgeons in the world. He has operated on heads of state and top athletes – among them David Beckham and Haile Gebrselassie – and served as Chief Physician to the Finnish Olympic team in the years 1988-2000. “In the private healthcare sector, we strive to create a personal rehabilitation plan for each patient. Patients need detailed, written instructions on how to proceed and begin rehabilitation after they have been operated on,” Sakari Orava says. Although Orava has earned a reputation in the public eye as a world-class orthopedic surgeon, many people do not realize that he spends a great deal of his time at the hospital with patients who are not professional athletes. “Most of my patients are regular people with regular conditions. Their background is not what’s important: a doctor approaches all patients in the same way,” says Orava. “I see this work as a way that we surgeons, when we succeed in our task, can influence people’s quality of life. And they often show their gratitude in the form of thanks, cards and flowers or someone remembers us at Christmas. Sure, it’s a nice feeling,” he says and smiles. Orava, who has been active in Sports Surgery since the 1970s, has performed over 25,000 operations in the span of his career. His résumé includes over 700 published medical articles, publications and international conference lectures. Orava, at the age of 73, still clocks more working hours than many of his colleagues 20 years younger. “I always work one year at a time. Then I contemplate my future again, and how my health is holding up. There’s a Finnish saying: ‘He who doesn’t work, shouldn’t eat either.’ I think that describes me well,” says Orava. “Working in the team of Mehiläinen Sports Clinic is a great and interesting opportunity,” says Orava. Sakari Orava was born in the Finnish West Coast town of Kokkola in 1945. He graduated with the degree of Medical Doctor from Oulu University in 1972. He became a specialist in general surgery in 1977, a specialist in orthopedic surgery in 1980, a specialist in sports medicine in 1986, and completed his PhD thesis in 1980. 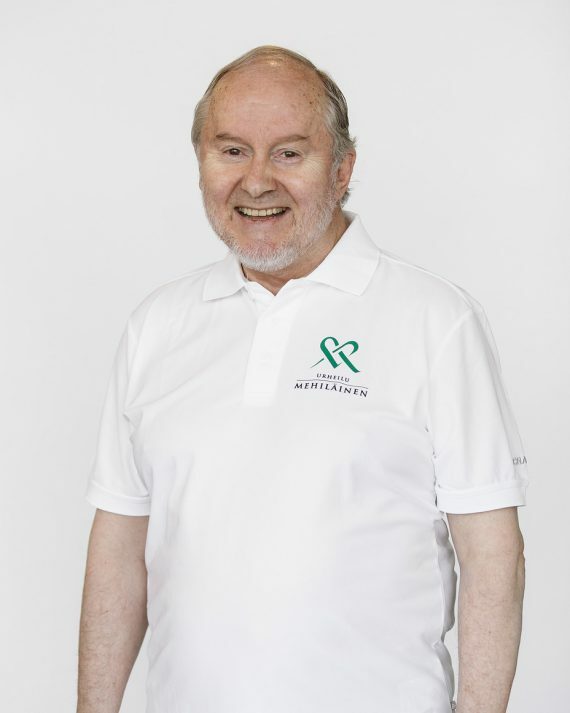 In 1984 he was appointed senior lecturer in orthopedics and traumatology at the University of Oulu, senior lecturer in sports traumatology at the University of Turku in 1995, and honorary professor at the University of Murcia in Spain in 2000. In 2001, the President of Finland bestowed the honorary title of Professor on Orava. For Orava, pursuing a medical career was the clear choice early on. In school, he was interested in biology and liked doing things with his hands: painting, sculpting and sketching. He was also active in sports, he was the 1962 Finnish National Champion in boxing in the featherweight class, and he was competing also in judo on international level. 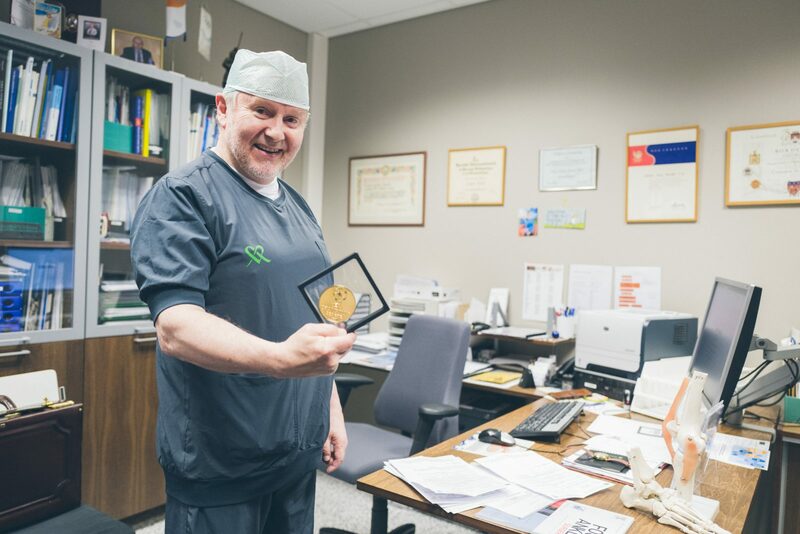 When arthroscopic surgery landed on Finland’s shores, Orava was working in Kokkola, which received the third set of arthroscopic equipment in Finland in 1978. Since that time, the level of skill in sports traumatology has advanced in leaps and bounds, and Orava has been a pioneer in its development, for example developing techniques used in corrective surgery for muscle tears. “Finland has been at the international forefront of development in orthopedic day surgery. Compared to other Nordic countries, for example, Finland has performed the highest number of minimally invasive arthroscopic surgeries on athletes,” he points out. “Mehiläinen Sports Clinic has a solid concept with a focus on the essential: sports medicine surgery, orthopedics and traumatology. The hospital doesn’t need to be a mixed-bag store – it makes sense to concentrate on selected areas. I have also known the Clinic’s other surgeons for a long time: they have been my protégés, if you will. The chance to work at the Clinic was a great and interesting opportunity. It was an easy decision to continue my work here, with a team I was familiar with,” states Orava.